If you’re like me, recent events have not exactly *engendered* a feeling of warmth toward men in powerful political positions. Yes — we are hurting. Yes — in the words of Adrienne Rich, “they still control the world.” Yes — we will have to keep fighting. 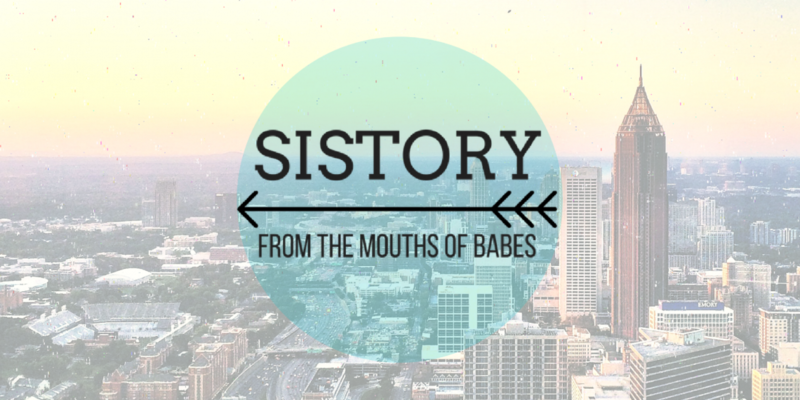 So it may surprise you to learn that today’s Sistory post is about a white dude career bureaucrat. (Just kidding, nothing about the patriarchy surprises us anymore! It’s everywhere!) But rest assured, Harvey Washington Wiley was actually a good egg. In fact, his whole game was in service of good eggs. Wiley was born in 1844 in Indiana – his only fault – and went to Hanover College to study the humanities (bae). Despite taking a short break to go volunteer for the Union Army in the Civil War (bae!) he finished his degree and went on to spend the next decade in academic achievement: he became a doctor, taught Classics at Butler College, got a B.S. from Harvard in a matter of months, taught chemistry at Purdue, all while working on the side for the Indiana Board of Health. Yes, they have one! Early in his research on food regulations, which only existed at the local level if they existed at all, Wiley was disturbed to learn that some honey being sold in Indiana was really made up of mostly glucose, with a dead bee stuck on top for effect. Quelle surprise! He took on an investigation of the purity of sugar sources, which led to him being named Chief Chemist at the U.S. Department of Agriculture in 1883. At the USDA, he gathered a group of volunteers, nicknamed the “Poison Squad,” to test out various ingredients and their effects on the human body. With only $5,000 to run this lab, he managed to produce groundbreaking research that resulted in the 1906 Pure Food and Drug Act, the precursor to the FDA. This law was challenged by many industry stakeholders and others who felt just dandy about using preservatives in food despite not understanding their effects. You know, the “#NotAllPreservatives crowd. It made him unpopular, but nevertheless, Wiley persisted. In 1911, he took on Coca-Cola in a famous case with a silly name: the U.S. Government vs. Forty Barrels and Twenty Kegs of Coca-Cola. Wiley and his team seized a delivery of Coca-Cola syrup on the way to the Chattanooga bottling plant, because he was deeply concerned that the product contained added caffeine and yet was being marketed to children. I like Coke, okay? I like Coke. The case went all the way to the Supreme Court, and the government won. Coca-Cola agreed to reduce its caffeine content, and the case set a standard for accurate ingredient labeling on food products. But it’s hard to be beloved as a whistle-blowing regulator. Wiley was vilified by his critics, and often the administrations he worked for – Taft and Roosevelt – didn’t step up to his defense, let alone give him due credit for his work. He resigned from his position as Chief Chemist in 1912 and went on to work at Good Housekeeping for 18 years, publishing research and writing books advocating for food safety and nutrition. Ugh yes Harvey weigh those scales. 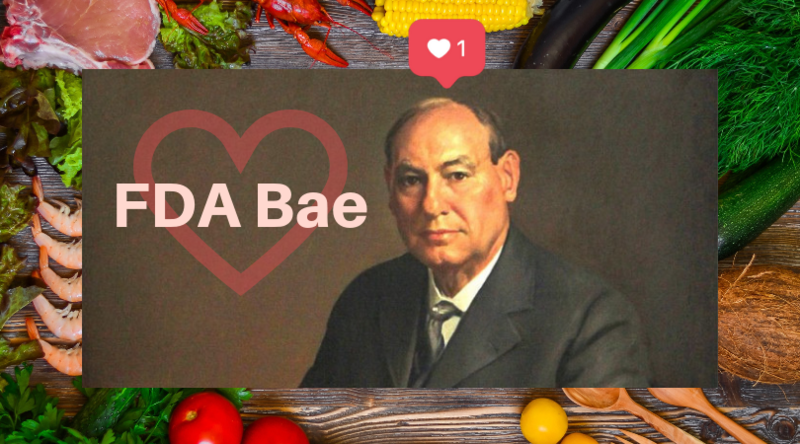 Wiley’s food safety legacy is something we should all be grateful for. If you’re looking around for a bureaucrat to crush on (it’s so hard to find a good one these days,) look no further. One note: Wiley’s not really “on the market,” because he’s dead, and because he married whip-smart suffragist Anna Kelton, who later became chairman of the National Woman’s Party. Anna Kelton got the man of our dreams, but 100 years later, we’re still waiting on an answer to her question.